“Add 30 Yards To Your Drives In A Bucket Of Balls”. And if you’ve purchased anything that says something like that, you would have quickly found out that you can’t add 30 yards to your drives in a bucket of balls. But that doesn’t mean you can’t add 5-10 yards in 15 minutes. No… that’s entirely possible and realistic for most golfers. And there’s a couple of ways you can do it. The first way is by improving your technique. For example, if you have a problem with a short backswing I can give you a trick, like flaring out your right foot by 10 – 15 degrees away from your target, and you’ll be able to increase your rotation on your backswing. This will easily give you more distance. 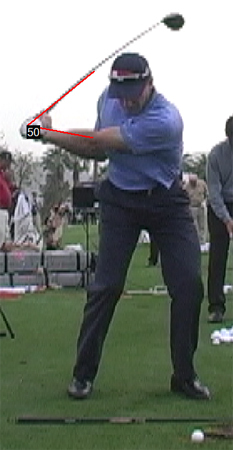 Swing speed is obviously another very easy way to gain distance quickly. But it’s not a matter of just trying to swing faster. You need to train yourself how to do it, because your brain has got a speed ‘like’ governor on it. If you swing at 90 mph maximum with your driver, then your brain will always try to keep you at that. 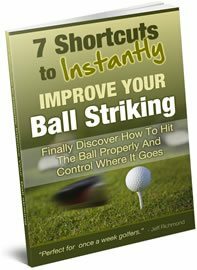 So you have to actually do exercises and drills, to get your brain to discover that you can actually swing faster than that. You have the potential to add 10 mph swing speed to your drives right now. That’s an easy 20 yards that you can add to your drives right now… but your brain is stopping you from doing it. So you need tricks like I reveal in this program to open your mind up to allowing yourself to swing faster. 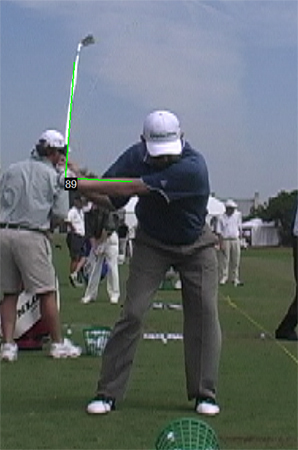 Another simple way to hit the ball further is to increase your flexibility, strength, power and speed etc. If you get the mix right in the exercises you’re doing, you can get big gains really quickly. So I’m sure you’re smart enough NOT to get sucked into anything claiming you can add 30 yards to your drives in a bucket of balls. 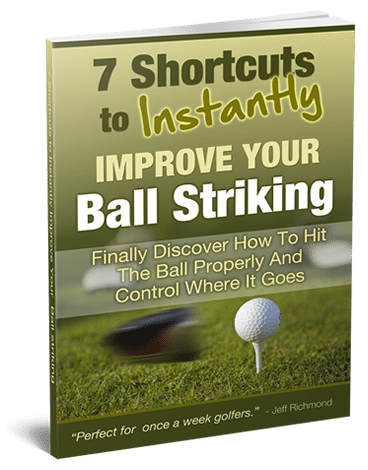 But you can most definitely add 5 – 10 yards to your drives in 15 minutes in one day. Then the next day you can do something else and add some more yards. Then the next day you can do something different again and add even more yards. It’s because of that fact, that I’ve put together a complete program to help you do exactly that. Every day I give you one simple thing you can do, which takes 15 minutes and it will add yards to your drives every day. To find out more about this exciting new program simply go here now.